P.F. 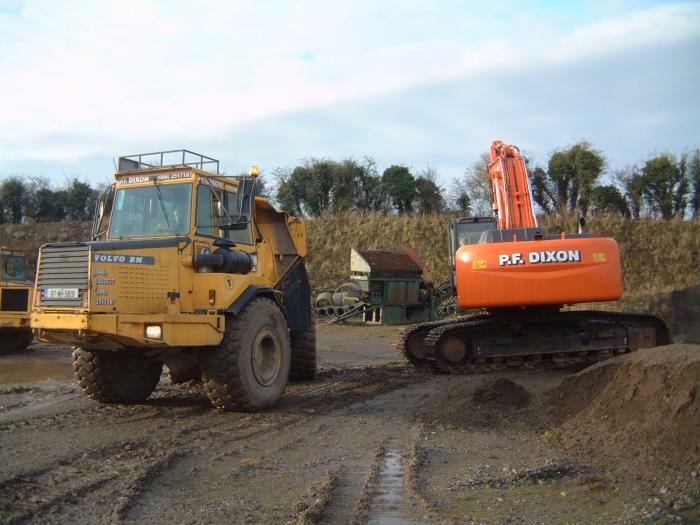 Dixon Plant Hire is one of Ireland's leading plant hire firms and recent projects include work on the M4, M50 and M3 motorways. 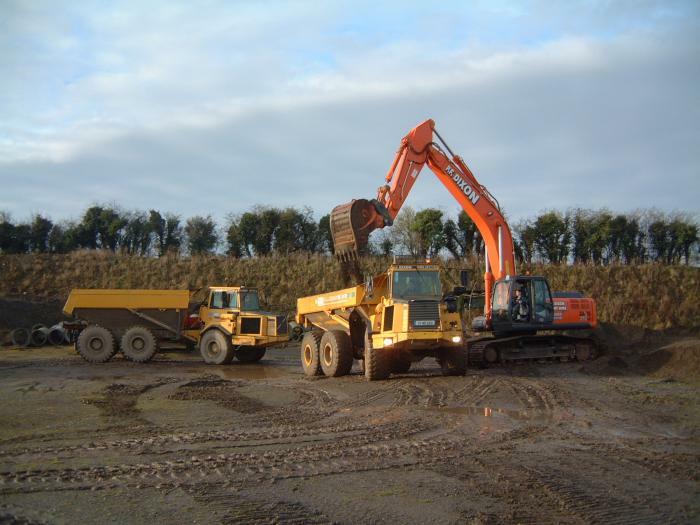 We specialise in bulk excavation and plant hire as well as waste management, land drainage, site clearance and site development. 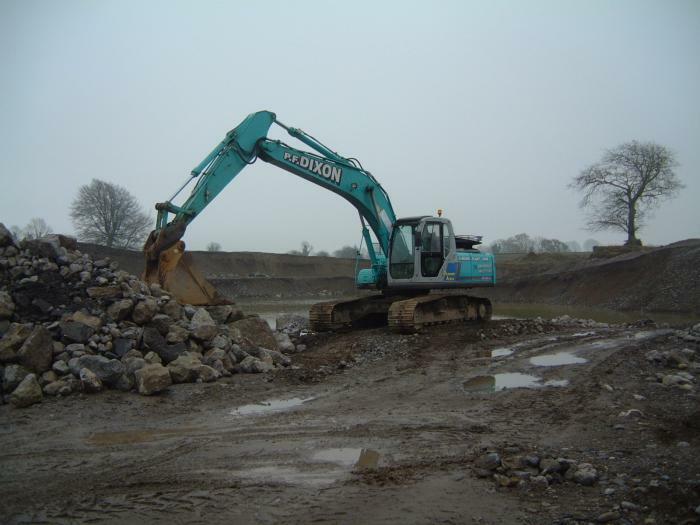 We can provide sand, gravel and rock and we are available for contract at an hourly or daily rate as required. 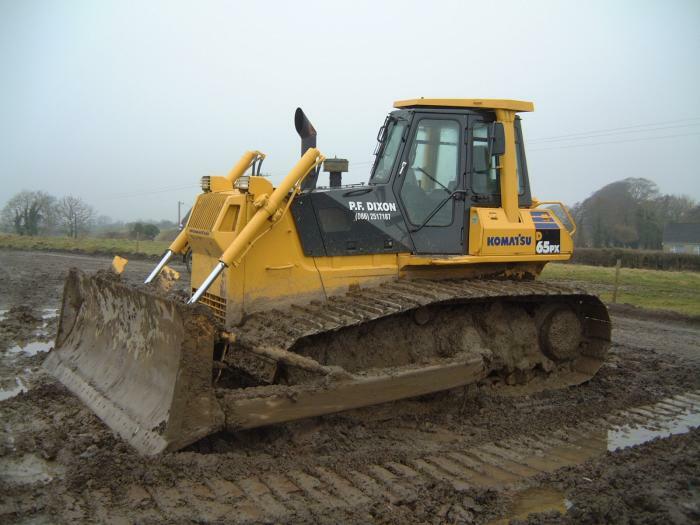 All contracts are personally supervised by our Managing Director who has over 25 years experience in this industry. 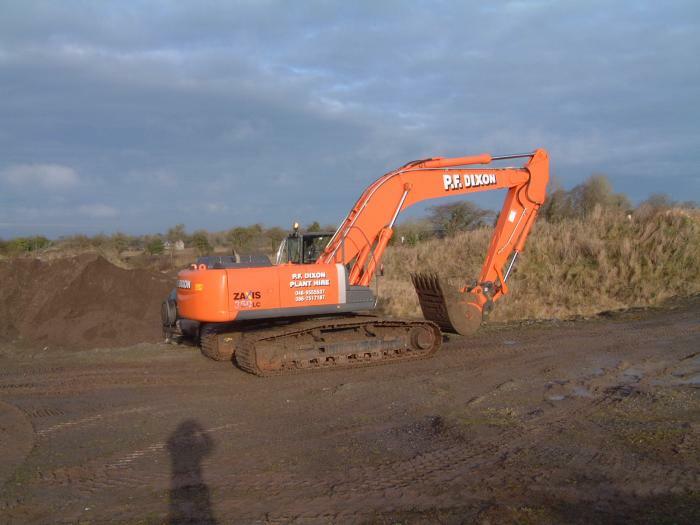 Through continued investment in the latest plant and equipment, P.F. 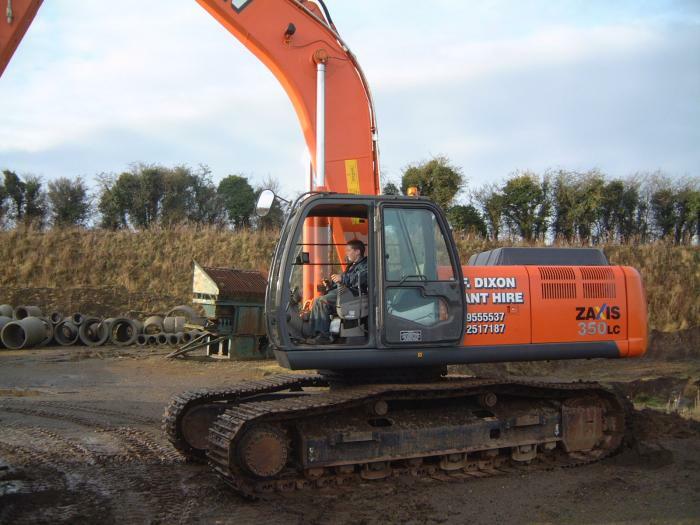 Dixon Plant Hire can safely execute all types of projects. 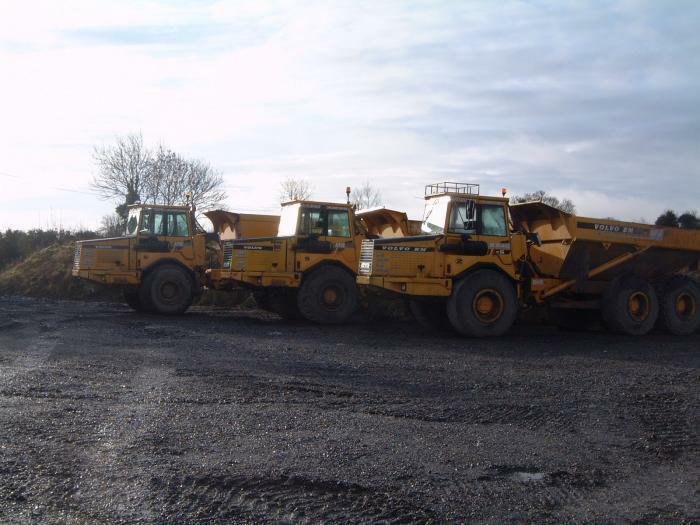 We give the highest priority to all health and safety matters, staff training and environmental issues, ensuring that all our staff are fully trained for their field of work. 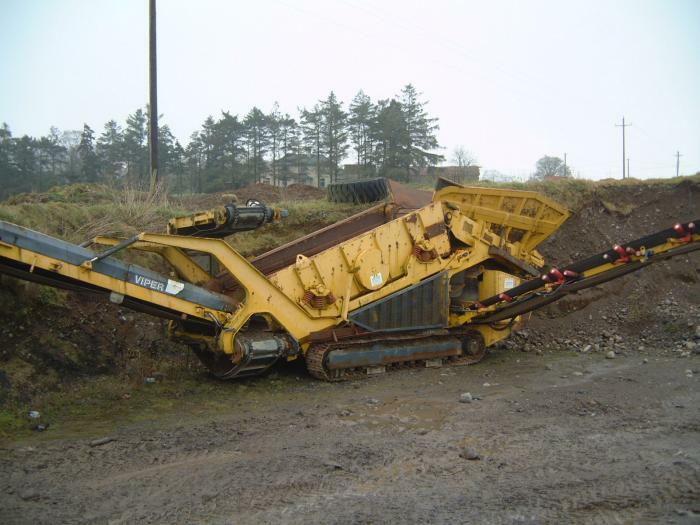 Safety statements and machine certs are available on all machines. 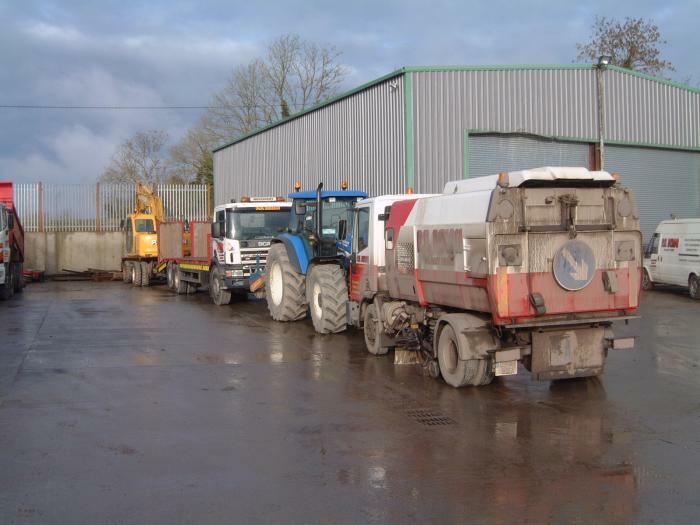 We have a comprehensive insurance package in both Public and Employers' Liability to 13 million euro, details are available on request. 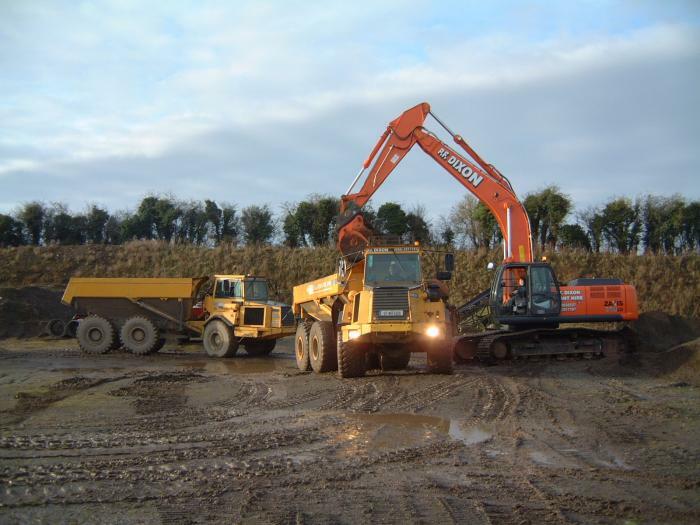 We are the ideal choice for all your haulage, site clearance, demolition, excavation and low-loader requirements.